Dylan is friendly, professional, knowledgeable, as well as the other staff members I worked with. Good customer service and eager to help and meet needs. Negotiated a good deal and they were able to arrange competitive financing. Offered good deals for extended warranty. Whole process only took a couple of hours. If you are looking for a salesman that is super friendly and goes that extra mile for you then Jaron Curry is the man!! He made us feel important and took extra time late in the day to make shopping for our new RAM truck a wonderful experience! Thank you Jaron! Jeff Baker, Monica Garcia & Marvin White were all very friendly, courteous and knowledgeable about the entire process of buying our 2018 Kia Stinger GT2. We will definitely check with them again when buying another vehicle. Great environment, no stress, they take you through the steps easily and you'll enjoy your time spent finding the perfect car for you. They make sure you don't leave with any questions left. 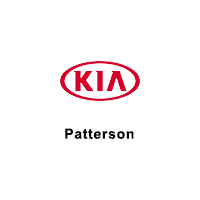 We have bought several vehicles from Patterson. The sales experience with Henry Broadus is so easy that we do not even shop anywhere else when we're in the market for a vehicle. He is always eager to find us a fair price, He's honest, helpful and provides the absolute best sales experience. He & the entire sales team that helped with our purchases have provided exceptional customer service. We feel valued as repeat customers. We don't just feel like the next customer, We feel like family.Keep up the excellent work.